Are you looking for the best laptop for streaming Twitch? If yes, then you’ve landed on the right page. Stick around to find out the best laptop for streaming live video on Twitch. However, today Twitch.tv has grown bigger than it rival and is a big competition to Youtube Gaming. 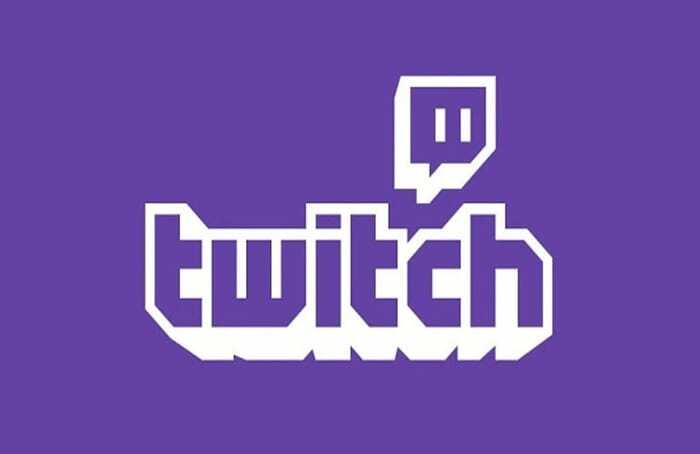 With 15 Million Average users per day, Twitch is definitely one of the top sites in the world and the #1 site if you want to live stream your gaming sessions. Having said that, having a personal computer on which you can game and stream simultaneously needs to powerful enough because doing two things at same time will keep your laptop on toes. Yet you don’t have to worry about choosing the laptop for yourself, as we’ve already cherry-picked them for you. Hence without wasting much time; let’s jump into the laptop list. If you’re looking for “the best” laptop for streaming Twitch under budget, then look no further than the HP Omen 15-DC0030NR. It is one of the most value-for-money laptop available on Amazon, and no wonder I’ve featured the HP Omen 15-DC0030NR here, here and here. For starters, it comes with a top-of-the-line Intel Core i7-8750H CPU that is clocked at 2.2GHz and can turbo boost up to 4.1GHz. This means, the CPU is power efficient during most tasks therein saving battery, but can turn into a powerful beast whenever required. Coupled with the CPU is a 16GB 2666MHz DDR4 RAM that is based on modern technology and offers excellent combination of storage and speed to help you stream on Twitch and game simultaneously as well. Talking about storage, the laptop comes with a 128GB SSD that offers read/write speed of close to 500MB/s, along with that you get a 1TB 7200RPM Mechanical Hard Drive that can be used to store your games and recordings as well. The one thing I personally love about this laptop is the screen, it comes with a 15.6” Full HD anti-glare IPS display that has very thin bezels on all 3 sides and is a joy to see on such a budget laptop. Coming down, you get a 4-zone full-size keyboard with a number pad along with accented WASD keys that are crucial while gaming. The track pad however is of moderate size and with addition of two physical keys reduces its surface area. One thing I did forgot to mention about this laptop is the beast that it comes preloaded with. The HP Omen 15-DC0030NR comes with an impressive 6GB DDR5 Nvidia GTX 1060 Mobile GPU that offers superb performance while gaming at highest quality. 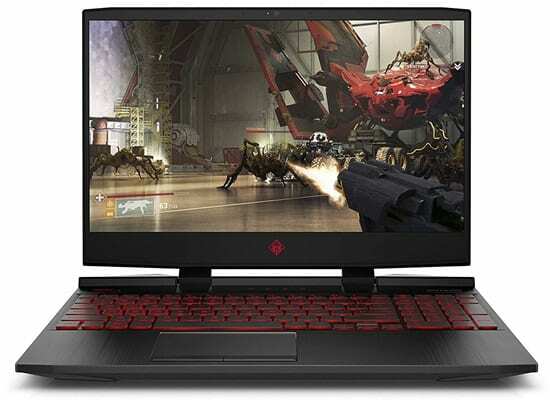 All in all, if you’re looking for the best budget laptop for streaming Twitch, then my first and foremost recommendation will always be HP Omen 15-DC0030NR. If you have a bit more money to spare and want the best laptop for live streaming on Twitch, then I suggest you take a look at the HP Omen 15-DC0045NR. Priced almost $400 higher than the previously mentioned HP Omen DC-150030NR, the HP Omen 15-DC0045NR excels it in quite a few departments and justifies the $400 premium. First of all, the DC0045NR weighs almost 500 grams lower than the previously mentioned model and it comes with a 144Hz display with external GPU that helps to offer smoother gameplay without stuttering and ghosting. On the CPU front, it comes with Intel Core i7-8750H CPU, which is similar to HP Omen 15-DC0030NR. For the extra $400, you also get double the RAM at 32 GB, which is a DDR4 RAM module clocked at 2666MHz. While the previous laptop featured a combination of 128GB SSD + 1TB HDD, the 15-DC0045NR features a single SSD module of 512GB. However there’s an additional space for 2.5” drive, where you can add in either a SSD or HDD of your choice. Another hardware that’s hidden inside the laptop is the mighty 8GB DDR5 Nvidia GTX 1070 Max Q GPU that is capable of running any modern AAA gaming titles without asking for more. Additionally, you get Thunderbolt 3 port via which you can attach an external GPU and give the laptop; desktop-like gaming performance. Being power packed, major issue that plagues this laptop is heating. However, with admirable thermal design from HP, the laptop doesn’t overheat during everyday use. But once you start gaming and the all the hardware is on load; that’s when you’ll start noticing the heat. The exhaust vents on the laptop on load reach a temperate upwards of 50 degree Celsius, while the keyboard area gets a bit toasty at around 43 degree Celsius. Hence avoid keeping this laptop on your lap while gaming. In order to save yourself from the heat just follow this simple trick. After using a laptop for few weeks or so; most people feel that the laptop specifications are not up to the mark or (they) should have bought a better spec’d laptop. The easier alternative to this is buying aftermarket components that can be upgraded effortlessly like: RAM and Hard Drive. But there are too many options to choose from; with each part having its own compatibility requirements, which can be daunting to an average consumer. You can take it to a computer technician, but end up in $100-$200 hole just to upgrade your components plus the components price extra. This is where CUK comes in, also known as Computer Upgrade King. CUK has partnered with popular laptop brands like Asus, MSI, HP and so and on offer laptop with upgraded specifications. The laptop mentioned here i.e. 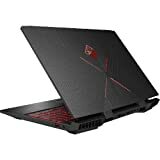 Asus ROG Strix Scar GL703GE is no exception either. It comes with 32GB of DDR4 RAM clocked at 2666MHz, whereas on the storage front it gets a combination of 1TB NVMe SSD that offers Read/Write speeds of over 1GB/s and a 1TB Mechanical Hard Drive to store all your extra data. 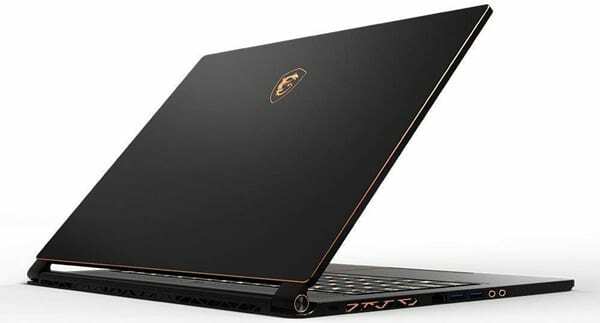 Other than that, the laptop comes with an Intel Core i7-8750H CPU coupled with Nvidia GTX 1050Ti Mobile GPU and 17.3” of Full HD Screen that has a refresh rate of 120Hz for smoother and stutter-free gameplay. All of these specifications for a laptop; priced at around $1500 is unbelievable. The only downside here is the fact that this is a 17.3” laptop, which increases weight and makes it a bit tough to carry around in a backpack. Other than that, this laptop is a beast and one of the best computer for streaming video on Twitch. 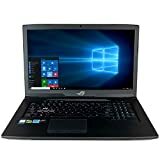 The 3 laptops mentioned above happen to provide the best value for money configuration that you’ll need for streaming on Twitch. But, almost all 3 of them weigh heavy on your shoulder and are harder to move around. 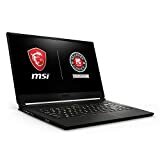 If you’re concerned about your health and need a laptop that is slim in size and weighs as low as a Macbook Air, while still offer exquisite specs; then you ought to take a look at the MSI GS65 Stealth. MSI is popularly known for producing high quality gaming laptops that will rival any other gaming laptop in the market and still stand strong. The MSI GS65 Stealth is no different either. Inside the hood, it hosts the best processor for streaming video i.e. Intel Core i7-8750H coupled with a 16GB DDR4 2400MHz RAM, which is a bit slow compared to RAM module on HP laptops above. On the storage front, the laptop happens to have a faster 256GB NVMe SSD that offers Read/Write speed of over 3000MB/s but the lower storage size can be a problem for few. What’s more is the meaty 6GB DDR5 Nvidia GTX 1060 Max-Q GPU that offers great gaming performance, albeit still keeping the core temperatures low. Talking about temperatures, MSI with its Cooler Boost Trinity technology manages to keep the heat low even at full load compared to other laptops in this list. Where most gaming laptops come with only 2 fans and 2 heat pipes; MSI offers a whopping 3 fans and 4 heat pipes to keep heat at a bay while using this laptop for gaming. However, it is not recommended to use this laptop on your lap when you’re gaming or when the laptop starts to heat up. This entire exciting tech is fitted in a laptop that’s weighs just 4.14 lbs, which is really mind boggling and for a price just above $1500; you’re surely in for a treat. A lot of people are of the opinion that you can’t get a good looking gaming laptop if you’re low on budget. What if I tell you that there’s a powerful gaming laptop that costs just under $750 and has won the Red Dot Design Award? Yes, there’s one and it is called as Acer Nitro AN515. Developed by Acer; the Nitro AN515 is winner of the prestigious Red Dot design award that rewards products in different categories that have the best design. Acer has always been known for producing cost effective gaming laptop with practical design; however, with Nitro AN515 they’ve nailed it perfectly and built a laptop that balances greatly between design, performance and price. Even though the laptop costs lower than $750; it doesn’t compromises on specifications. The AN515 comes with an Intel Core i5-8300H, which stands toe to toe with previous generation Intel i7 processors. Coupled with the laptop is an 8GB DDR4 RAM module, which can be easily upgraded with the extra RAM slot. What’s exciting is the fact that this laptop comes with a 4GB DDR5 Nvidia GTX 1050 Ti GPU that offers 60+ FPS on most modern games at high settings. On the storage front; Acer has provided a 256GB SSD that may not be enough for twitch streaming, but can be easily upgraded without any issue. The Acer Nitro AN515 comes with a 15.6” screen that offers Full HD resolution and is an IPS display; however don’t expect color gamut similar to laptops mentioned above; even the brightness is bit on the lower side too. To complete the gaming look; Acer has provided a red-backlit full size keyboard that is always a welcome, along with moderate size touchpad with backlit borders. All in all, the Acer Nitro AN515 is great gaming laptop choice with no compromise; even if you’re on a shoestring budget. I hope this article was able to help you choose the best laptop for streaming Twitch. If yes, then please don’t forget to share this article on social media sites like Facebook and Twitter. If you have any question regarding above laptops, then please don’t hesitate to ask them in the comment section below.